To mark Halloween we need look no further than the former home of the Cope Collection, Bramshill House in Hampshire. 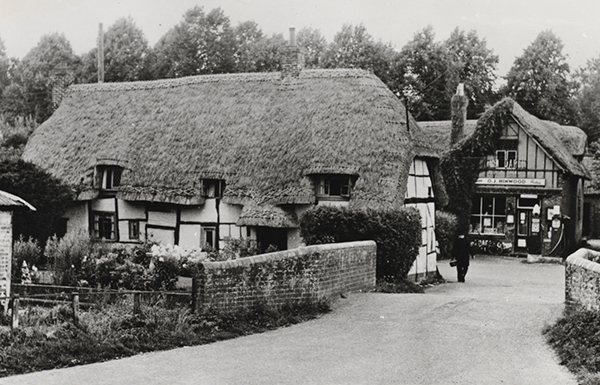 Boasting fourteen ghosts and described as ‘one of the most haunted houses in England’, many of its apparitions feature in a memoir by Sir William Cope’s great-grandaughter, Joan Penelope Cope. 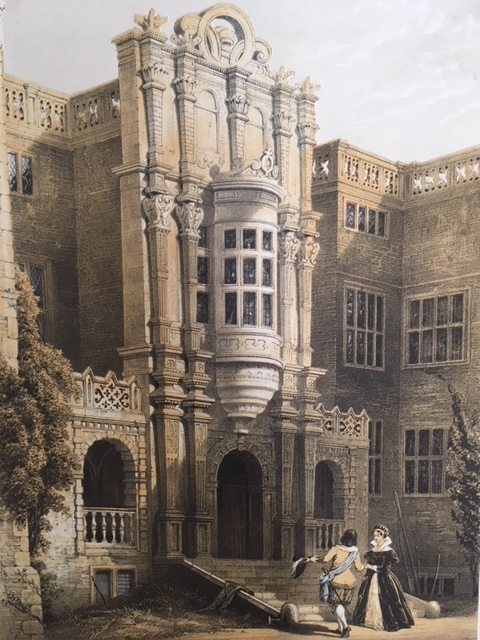 They include a lady in grey usually seen at 3 a.m., a woman in white, leaping from the balustrade and a green man seen by the Pale Pond, possibly one Sir Henry Cope, who favoured green for his clothing, decor and more unusually, his food. As well as these visual manifestations, heavily spurred boots had been heard on the stairs and visitors in the Chapel Drawing Room reported the sensation of having their hand taken by a child. Of these tales, one became particularly well-known, that of a young woman dressed in white seen in the Long Gallery and the Fleur-de-Lys Room. The story went that many years ago at a Christmas wedding, the young bride had insisted on playing a game of hide and seek, only to find herself locked in the chest in which she had hidden. Despite the desperate searches of the wedding party, she could not be found. Some years later the chest was opened, revealing her remains, a sprig of mistletoe still clutched in her skeletal hand. The association of the story with Bramshill was such that in 1890, perhaps after one too many of his visitors had asked to see the chest, Sir William Cope printed a short pamphlet on the subject, The Bridal Chest of Bramshill. Sadly for devotees of the supernatural, Cope reported that the chest concerned was no longer at Bramshill, having been removed earlier in the 19th century by the widow of the tenth baronet, and more importantly, there was no record of any bride in the family having died shortly after her wedding, neither had the ghost been seen by any living witness. Cope’s explanation was that the original bridal chest, of Italian origin, had become associated with a story set in Italy of an entombed bride, told in Samuel Rogers’ 1822 poem ‘Ginevra’. Rogers wrote that he believed the story ‘founded on fact’, though at a time and place uncertain, whilst Cope had been informed that ‘a Lady of a distinguished Italian house’ had claimed the story for her family describing the chest as having been sold to an Englishman. The fifth baronet, Sir John Cope, was known to have lived in Italy during the 17th century and to have returned with various items acquired at this time. Following the publication of the poem, the story was popularised in a ballad of the 1830s, ‘The Mistletoe Bough’ by T.H. 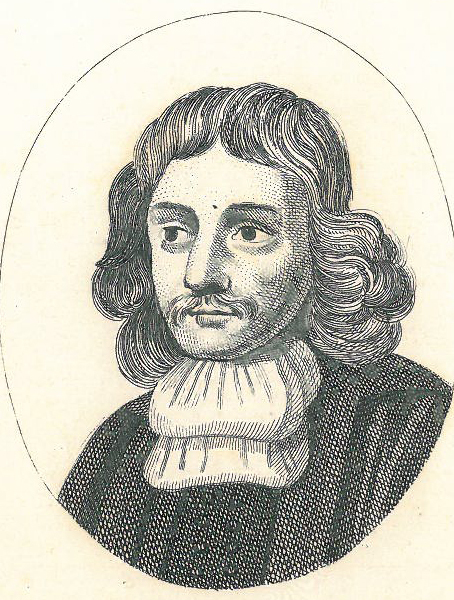 Bayly and Sir Henry Bishop and it became associated with a number of country houses. It was retold in a play by C.A. Somerset in 1835, provided the inspiration for Henry James’ The Romance of Certain Old Clothes (1868), appeared as a short story by Susan E. Wallace in 1887 and was the subject of three silent films, including The Mistletoe Bough by Percy Shaw (1904). More recently ‘The Mistletoe Bride’ has again been retold as a short story by both Jeanette Winterson (2002) and Kate Mosse (2013). For those who might have hoped that both the chest and its ghostly contents had been transported from Italy to Bramshill, it now appears that the story has an origin earlier than the 1822 poem cited by Cope. It is recounted under the title ‘A Melancholy Occurrence’ in the 1809 issue of The Monthly and Boston Review, but in this case the tale is set in Germany and was described as a ‘singular and calamitous event’ brought to light a few years since. 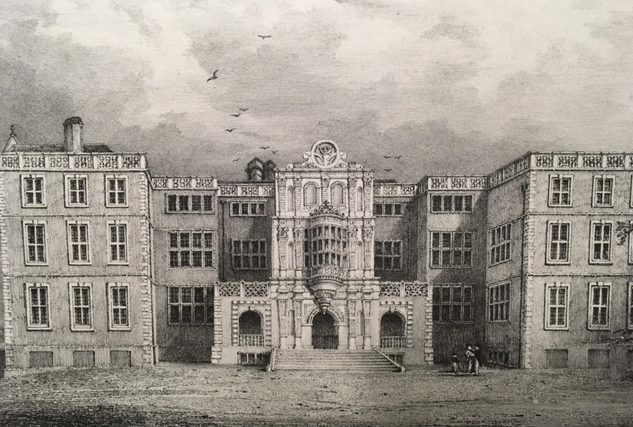 It seems that Bramshill House, currently the subject of development proposals, might be lacking one of its fourteen ghosts, but who can know what the remaining thirteen will make of any proposed changes. For descriptions of more recent sightings of the Bramshill ghosts, including the Mistletoe Bride, see: Ian Fox The Haunted Places of Hampshire (1997) Cope 39. 31 October marks the annual celebration of Hallowe’en – or All Hallows’ Eve– now pretty much obsolete: in the middle ages, a hallow (n) meant a holy person or saint. In the Western Christian tradition, this time of year is dedicated to remembering the dead, and in particular saints and martyrs on All Saints’ Day (1 November) and deceased family members on All Souls’ Day (2 November). Many Hallowe’en traditions, however, are likely to have had earlier pagan roots, originating, for example, from Celtic harvest festivals. In modern times, activities like trick-or-treating, costume parties, carving pumpkins into jack-o’-lanterns and watching horror films seem to grow more popular year-on-year. Carisbrooke, is a historic castle overlooking the village of the same name, near Newport on the Isle of Wight. Over 350 years ago, it hosted an important prisoner Charles I, defeated by Cromwell in the English Civil War, incarcerated prior to his execution. 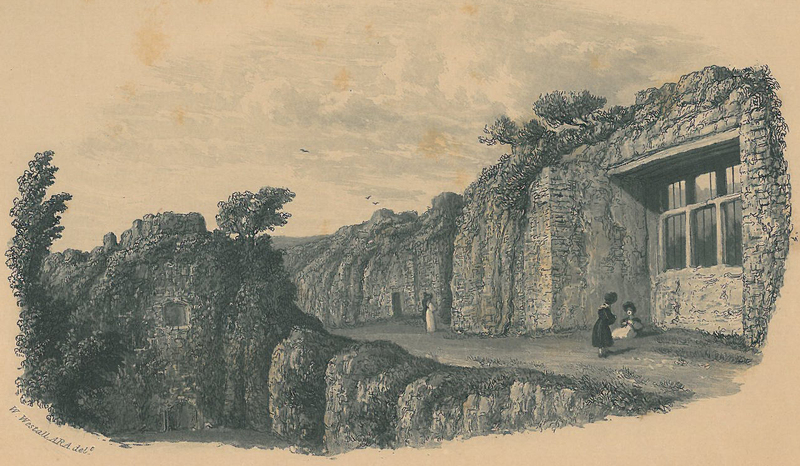 Charles, having escaped from Hampton Court sought refuge at Carisbrooke but was detained by Colonel Robert Hammond, governor of the island. 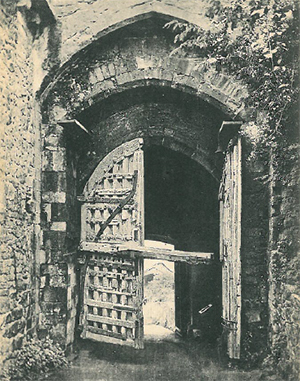 Later, Charles’s two youngest children were also confined in the castle – Princess Elizabeth died there – and it continued to be used as a prison throughout the seventeenth century. The Castle is reputed to have a number of ghosts although we haven’t come across anything specifically relating to King Charles or his daughter. Elizabeth Ruffin tragically drowned in the deep well and reports claim her disembodied face can still be seen in the well water. A “Grey Lady” wearing a long cloak and accompanied by four dogs is claimed to haunt the castle and the ghost of a man in a brown jerkin and trousers has been seen near the moat. The Special Collections hold several books relating to King Charles’s imprisonment in Carisbrooke castle including The pourtraicture of his sacred majesty Charles I : in his solitude in Carisbrook-Castle, A.D.1648 : containing his meditations on death, prayers. Princess Elizabeth was buried at St. Thomas’s Church, Newport, on the Isle of Wight. The preface goes on to recount how Queen Victoria later erected a “beautiful and lifelike” sculpture at the church which apparently “attracts thousands to see and admire it, and few leave the hallowed spot without shedding a tear in memory of The Fair Prisoner of Carisbrook”. In order to solve the mystery, members of the local community arm themselves and surround the house while others wait inside for the rattling to commence. As soon as the latch begins to move, the door is swiftly thrown open only to reveal there is no one there. The narrative then continues by considering and disproving a number of possible tricks or explanations and claims that no imaginable natural cause could have produced the effect. The account is testified and signed by a number of honourable witnesses and it remains for the sceptic to explain the occurrence. The Isle of the Wight has a long tradition of ghost stories and hauntings, many associated with places such as Billingham House, Carisbrooke Castle, and Knighton Gorges Manor. Sir John Randolph Leslie, 3rd Baronet of Glaslough (1885–1971), more generally known as Shane Leslie, was an Irish born diplomat and writer. He had a lifelong interest in the supernatural which influenced a number of his writings. His novelette A Ghost in the Isle of Wight was published in 1929, in a limited signed edition of 500 copies for sale, and a copy can be found among the Cope Collection on Hampshire and the Isle of Wight. Eric Jones-Evans was a medical practitioner and actor. He maintained a medical practice in Fawley, near Southampton, and closed his surgery on matinee days to perform at the Grand Theatre in Southampton. In 1928 he formed his own company and both wrote and appeared in a number of his own melodramas, chiefly adapted from the novels of Charles Dickens and George Eliot. Among the papers of Dr Eric Jones-Evans (MS 91) is a typescript of Death on the Line: A Ghost Story in One Act, dated 21 December 1952. Based on Dickens’ short story The Signal Man, the play is set in a signal-box in a deep cutting near a tunnel entrance on a lonely stretch of the railway line. The author describes it as a play of “atmosphere and tension”, with the wailing of the wind in the telegraph wires introduced judicially to provide an eerie background to the narrative. It tells the story of a railway signalman who is haunted by a recurring apparition, with each appearance of the spectre preceding a tragic event on the railway. The first is followed by a terrible collision between two trains in the tunnel (likely based on the Clayton Tunnel crash of 1861) and the second by the mysterious death of a young woman on a passing train. 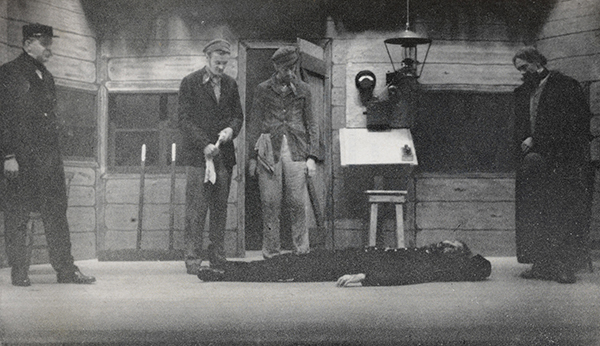 The third and final warning of “death on the line” causes the signalman to rush onto the track in an attempt to stop an oncoming train where he is struck and killed. As the driver and other characters stand over his body a telegram is received warning of fallen rocks on the line up ahead. The play ends as they ponder how he could have known and how many lives might have been lost if not for his intervention.